Four months old and it's going by lightning fast... blah, blah, blah. I know. Why is it that each kid seems to grow up faster than the one before? 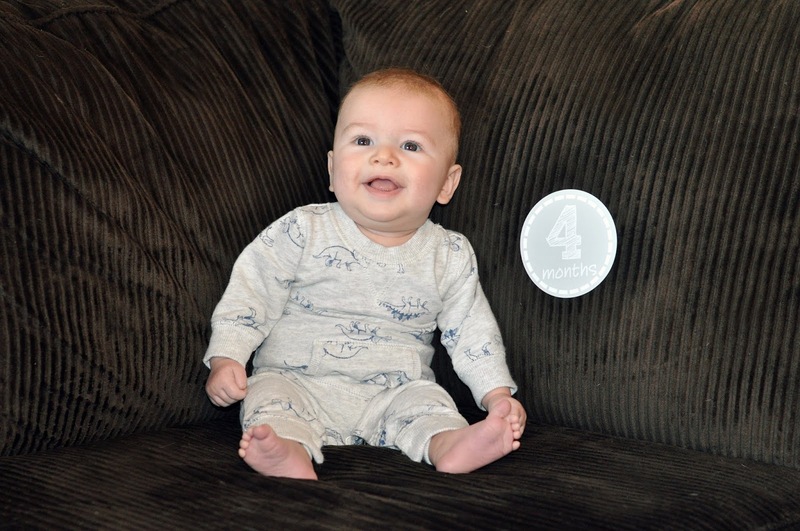 Wy Guy is four months old! 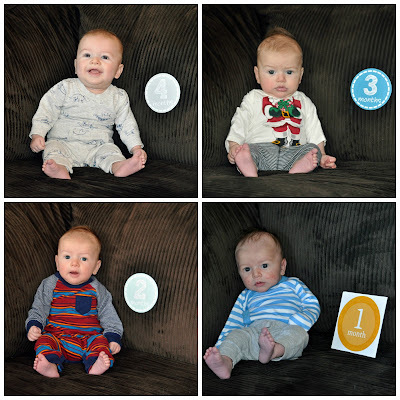 - We started supplementing formula and it has made a huge difference for his growth and his little bod. I mean - look at those cheeks! The first thing his pediatrician said at his four month well check was "where is his neck?!" - Getting super close to rolling over from back to belly but get stuck on his side because his head is so big. And it's not really "that" big but compared to the rest of his body proportions -- it is.